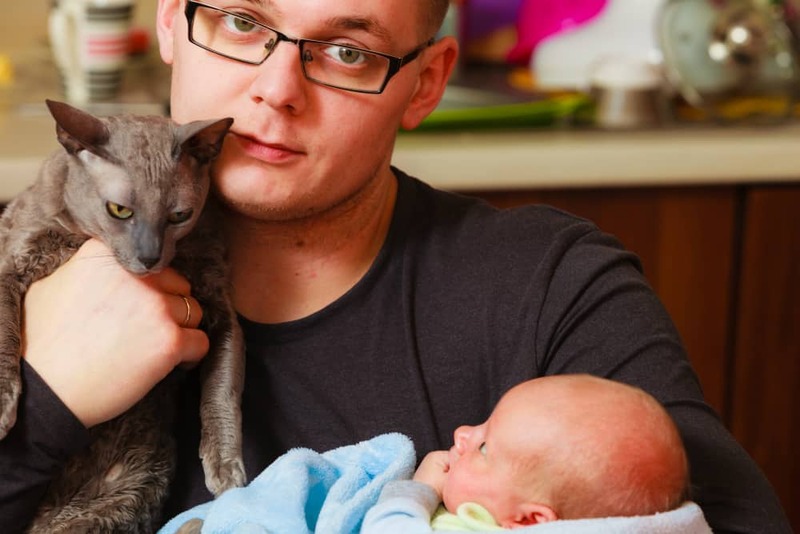 Introducing your cat to a new baby can be an exciting time. However, you'll want to make sure that things go smoothly for both the baby and your cat. Luckily, there are plenty of tips to help you with allowing your pet and baby to get along in the best ways possible. Just try them out and you'll surely find that your cat is happy to welcome home a new little human friend. Making an abrupt change can be stressful on your cat, so it's important to start getting them used to the change early. The good news is that pregnancy provides plenty of time to begin this process. You can do things like play baby sounds for the cat to hear, and let them check out some of the clothing and other things you purchase for your new baby. In addition, you can talk with your veterinarian to get some tips that might be more specific to your cat as an individual. They'll have a clearer idea about how your cat might react, and what steps you can take to keep your pet safe and your baby secured. Things can be rushed and dramatic when you head off to the hospital to bring your baby into the world, and your pet might be left wondering where you went. If you are away from your home for a few days, then your pet is likely to be excited to see you! This is a good time for you to take a minute to reconnect with your cat and remind them that you love them. If you can, have someone else take the baby into another room so that you and your pet can have a moment. Your pet will greatly appreciate the time you take to greet them rather than ignoring them in favor of all the baby excitement. Before you introduce your cat to the new baby, it can be helpful to let them explore the scent of your new human. A great way to do this is by taking one of the blankets or clothing items your baby has been using and place it somewhere the cat can check it out. This helps your cat to acclimate to the new human without too much stress and you may even find that they enjoy laying on it! That can be a good sign that your cat is going to be happy to meet the baby and will eventually want to snuggle with them when they're big enough. Getting your pet spayed or neutered is not only good for them with regard to how they might react to a baby, but is also often better for their overall health. Fixed pets are often more mellow and have overall better health in the long run. They can also experience fewer behavioral problems. 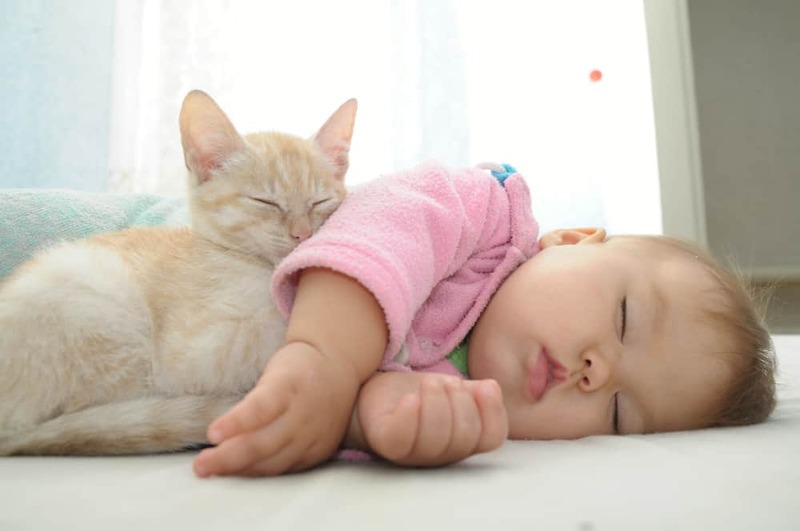 A calmer cat is one that you'll be able to feel more comfortable about having around your baby. As the baby ages, they'll also be less likely to be bitten or scratched. Your baby will be far happier, and your cat will enjoy being around the baby more. While training isn't often as big of a thing with cats as it is with dogs, there are some smaller training tips you can use to allow for more harmony in your household. An example would be teaching your cat to be a little less demanding, only hopping into your lap when you entice them to. Some may also want the cat to steer clear of the baby's room in general so that the cat and baby only interact when you can keep a close eye on them both. For this, you can make sure of a baby gate or just keep the door closed as much as possible. 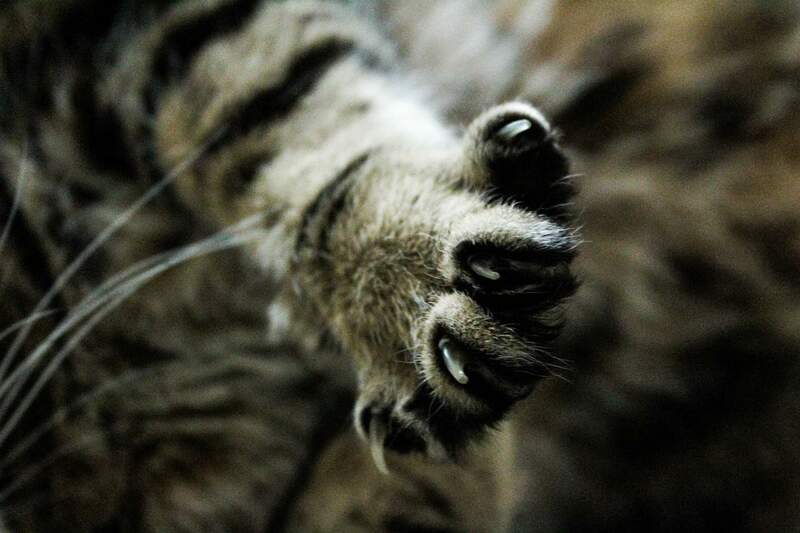 An easy aspect to keep control of is making sure that your cat's claws stay trimmed. That way, even if they do get frustrated with the baby they won't be able to do much harm while swatting at them. If your cat isn't used to getting their claws trimmed, that may be something you want to work on prior to the baby's arrival. If you need help, you can recruit another adult to either hold the cat or trim the claws. A veterinarian can also help to show you what you need to do if you ask them during a routine checkup. In time, they should get used to the process and you'll be able to handle it yourself. When you decide to introduce your baby and cat, make sure it's in a quiet, relaxing space. It can be helpful to have the baby in a car seat or other area where you can easily pick them up if the cat isn't a fan. It can also help to talk to your cat in a soothing way, letting them know it's okay to explore. In many cases, the cat is likely to be only mildly interested in the baby or not interested at all. That's okay! As your baby gets older and starts moving around, they'll have more of a chance to get familiar with your pet. For now, it's mostly a matter of making sure the cat is okay with this new family addition. Overall, introducing your new baby to your cat doesn't need to be complicated. 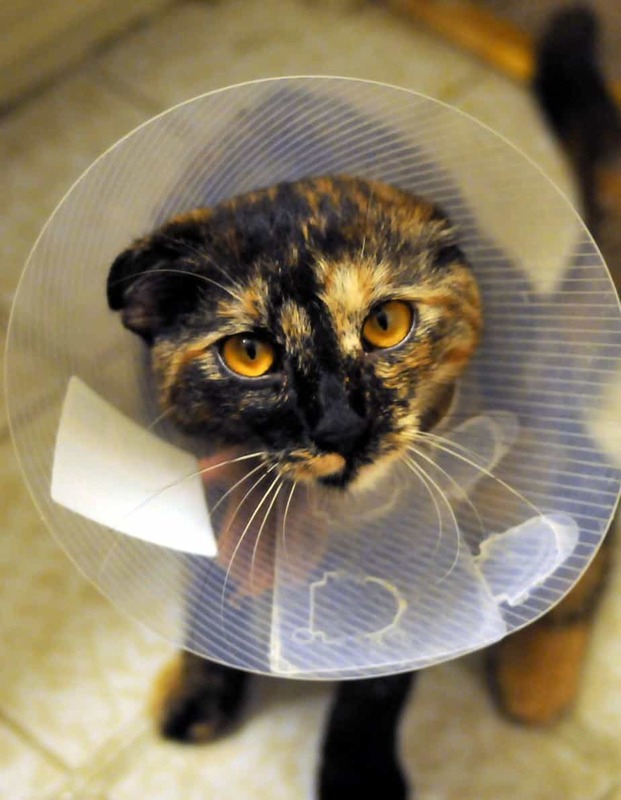 Just take the steps to allow your cat to make the adjustment more slowly and there's likely to be no serious problems. It can also help to get the advice of professionals to make sure your home is a comfortable place for your cat and your baby. You can also find some time to childproof and pet-proof your home to promote a healthy and stress free environment for you and your pet. In time, it's likely that both of these family members will grow to love each other. It's just a matter of making sure your cat has time to adapt.